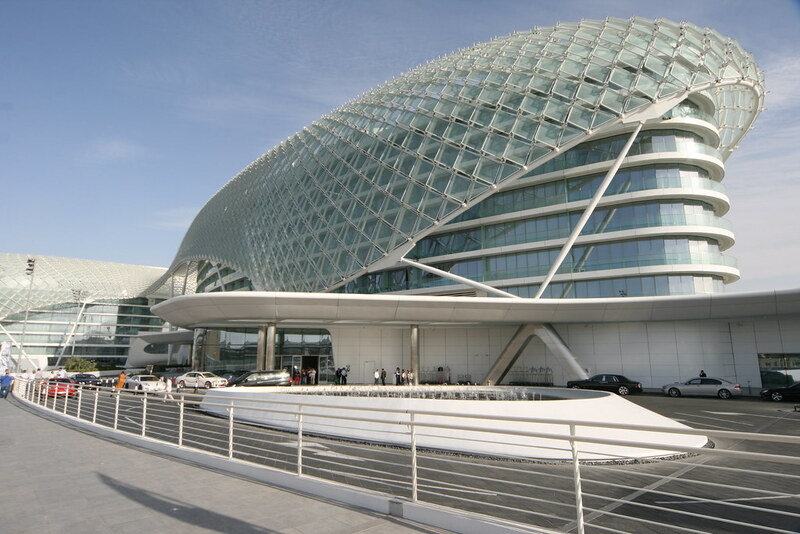 Hotel is really an beautiful iconic building located in the site of Formula 1 on Yas Island. 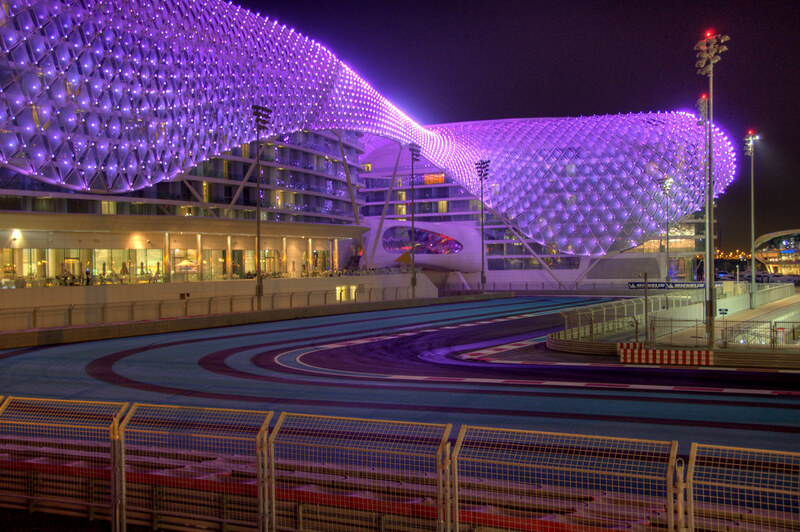 The Yas Hotel is a 500-room, 85,000-square-meter complex. 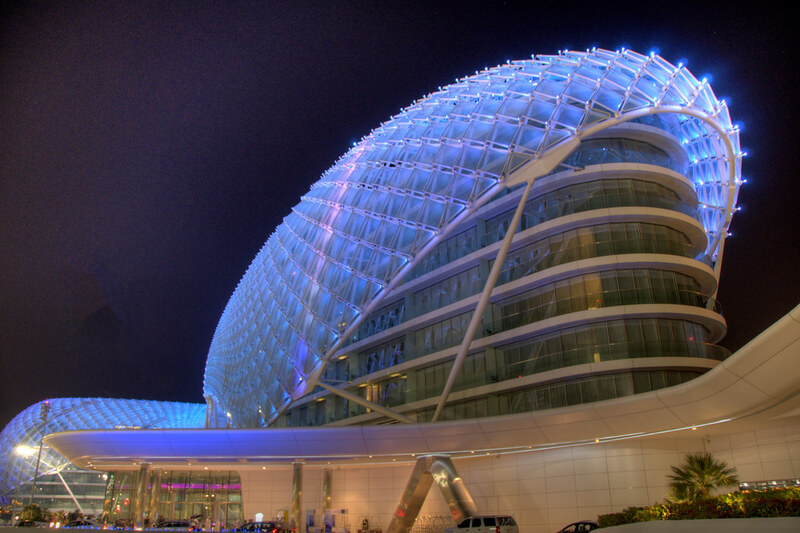 Two twelve story hotel towers linked by a monocoque steel and glass bridge, lit by colour changing LEDs. 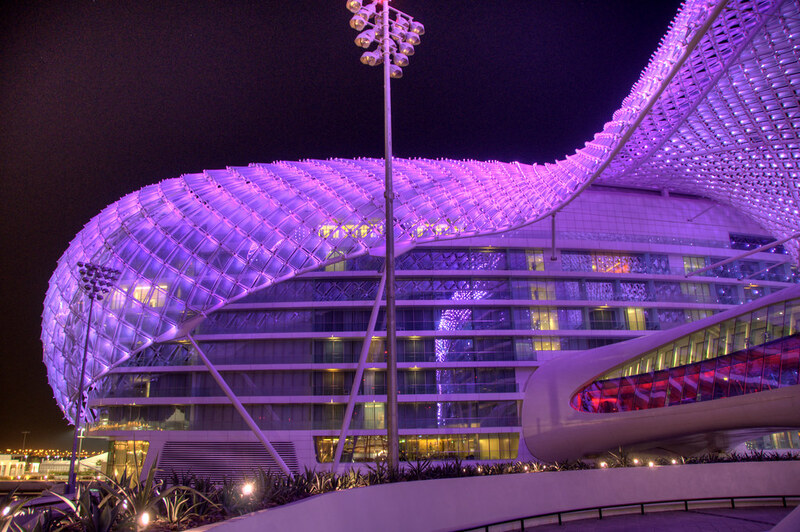 Views from all guestrooms are exceptional, looking onto the race track, the calming Yas Marina or to the island at large. 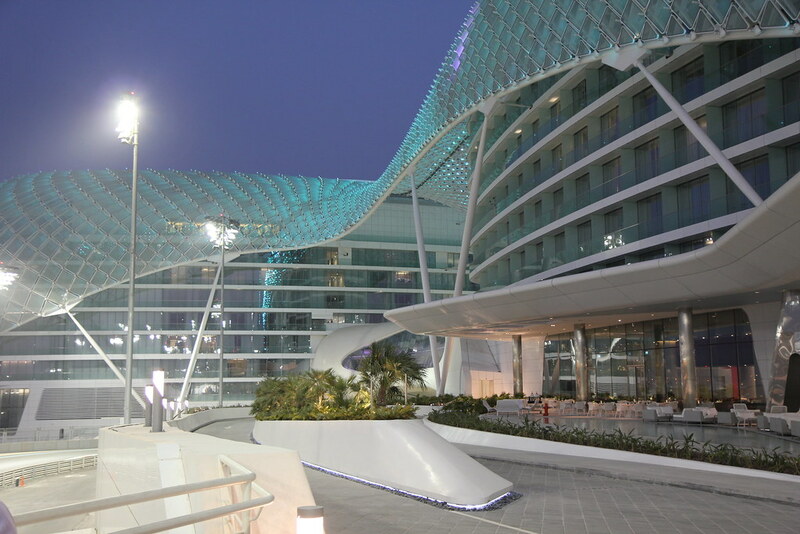 The Hotel is designed by Hani Rashid and Lise Anne Couture, principals of New York based Asymptote Architecture.